We, from Precision Marine Engineering, would like to put the focus on a topic which sometimes is taken too lightly, the sewage treatment and the suspicious conformity of some equipment for it, through a very interesting article published on “The Maritime Executive”. If you need advice or assistance with this issue, then please just visit us at our STP office. As the official Hamann agents in the Balearics we are in the No.1 position to assess and successfully resolve any situation regarding sewage treatment. 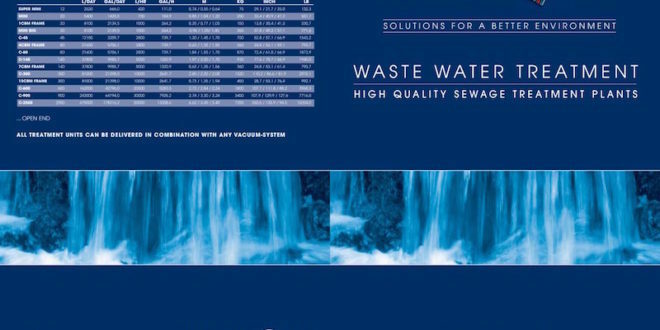 Sewage pollution control is one of the first environmental initiatives in human history. Sewage treatment plants protect the aquatic environment of our cities, towns and villages. They turn raw sewage into clear and less harmful effluent. They also produce sewage sludge as a by-product. The treatment technologies are supported by wastewater science and engineering [1,2], whilst their compliance performance is assured by effective regulatory frameworks. A significant part of wastewater industry concerns sewage sludge: its characteristics, production, management and disposal [1,3], including possible re-use as a natural resource [4,5]. Sewage treatment produces sewage sludge. It is science, and it is a fact. Some people in the marine industry disagree. Some marine manufacturers claim their sewage treatment plants do not produce sludge. Unfortunately, conformity assessment bodies have approved their equipment by crediting them with IMO and MED certificates. Thus, they have certified impossibilities, and created certified “magic boxes.” These magic boxes contravene science. They are non-conformities. Magic boxes are easy to spot, there is an absence of sludge separation features within the treatment process. The sewage sludge, instead of being separated from the treatment process, is flushed out in the effluent. These magic boxes would not be able to perform no matter how well they are operated. Many are concerned about their poor performance status . MEPC.227(64) Guideline tried to tighten the abusive use of dilution water during performance tests, and yet this has not stopped the impossibilities from being “proven” by “good laboratory results.” Certificates have become licenses to pollute. Something is very wrong, and we all need to know why, what and how. As a way of keeping the status quo, some say none of the Guidelines explicitly prohibits no-sludge claims. This is farcical and brings the approval regime into total contradiction to the IMO’s intentions. Meanwhile, the non-conformities are spreading; the gap between rules and realities is widening . Over the years, these magic boxes have become popular and influential. Consequently, valid technologies are under competitive pressure, and some have resorted to mimicking the no-sludge claims and been forced into a race to the lowest levels of functionalities. It’s been awkward, to say the least. There is a lot at stake: the credibility of the approval regimes, the liabilities to shipowners and yards, a level playing field, the IMO’s environmental aspirations and ultimately, the marine environment that we have agreed to protect. It may be time for the IMO, its Member States and the assigned approval assessment bodies to identify and to acknowledge this issue, to undertake transparent and timely reviews and to conclude what has happened and how to prevent such non-conformities from reoccurring. MEPC 64/23; MEPC 67/8/1; MEPC 71/14/2; MEPC 71/INF.22; PPR 6/14.